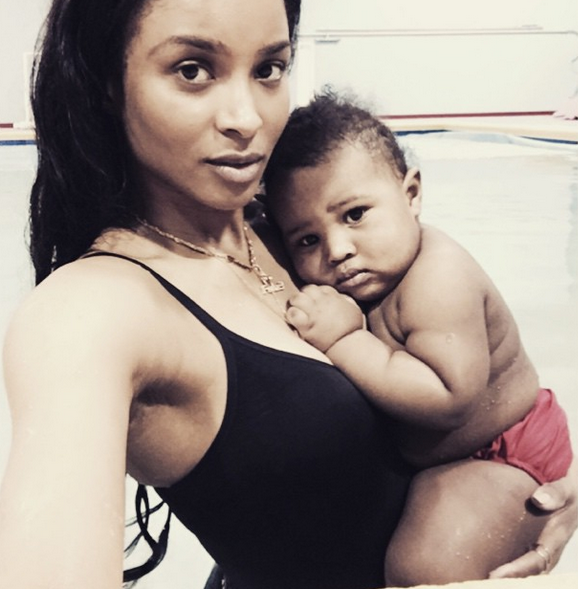 KayKiSpeaks.com: Ciara Posts PSA Videos of Baby Future Swimming-yes, Swimming! Yesterday Ciara posted the cutest videos ever of Future- only 7 months old at his first swim class. Yes.. swim class. This might be news to some people, but babies are natural born swimmers. They also are at high risk for drowning in a short time period if submerged under water after losing that familiarity. With that in mind, Ci Ci like many other parents are sure to prepare their little babies by getting them lessons really...really early. As you'll see below.. Future not only floats, but he naturally knows to kick his legs, and he seems really comfy in the water. I think the only person really freaked out was Ciara...lol. Check the videos below and the stats on why it's so important from Ci and Future's instructor below. Tooooo cute! Go Ciara and baby Future! This is great advice for parents and just the cutest thing to watch!